I’m back, as promised, with more information about my new love-Discbound Notebooks! I was totally in the dark about them until a blogging friend happened to mention them. So I thought I’d share this information with you in case you have a serious office supply addiction like I do! 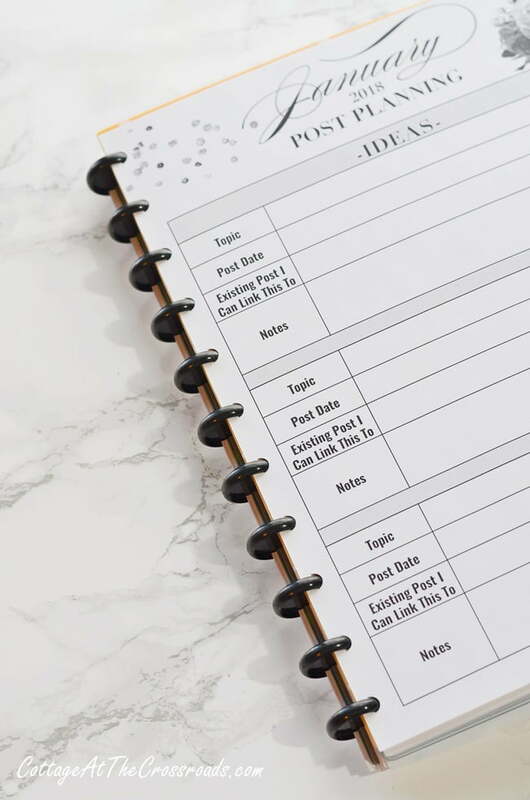 Recently I shared with you how I set one up one of these discbound notebooks to serve as a blog planner, and if you missed that post, you can find it here: 3 Planners I’m Using to Stay Organized. Although I’m using mine as a blog planner, discbound notebooks can be used for so much more because they are customizable. 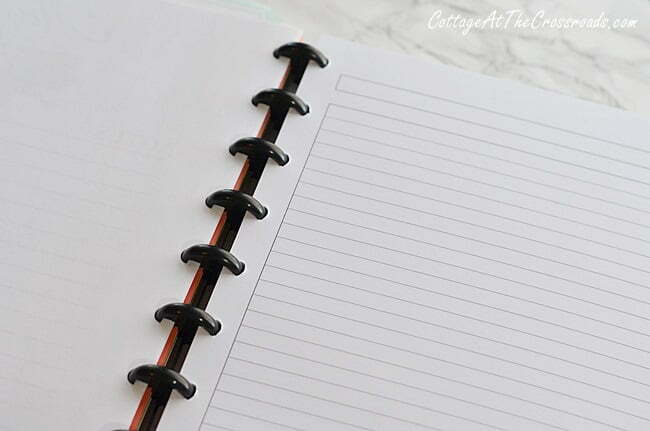 Home management notebooks, recipe books, sketch books, project books, units of study notebooks, printed ebooks, and of course, yearly planners are some of their possible uses. Why are they called discbound notebooks? They are called this because the paper inside is hole punched in a unique way that fits around discs that keep the notebook together. The discs come in different sizes so that you can create the size of notebook that you need. 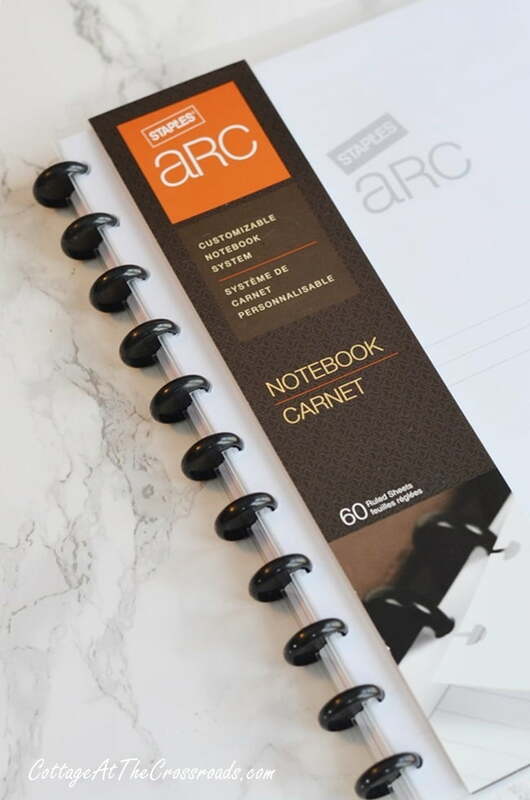 Because the paper is punched in this special way, you can easily add, remove, or reposition the pages inside without opening up rings as in a traditional 3-ring binder. Where can you find discbound notebooks? You can find these products at your local Staples store, the Staples website, or on Amazon. 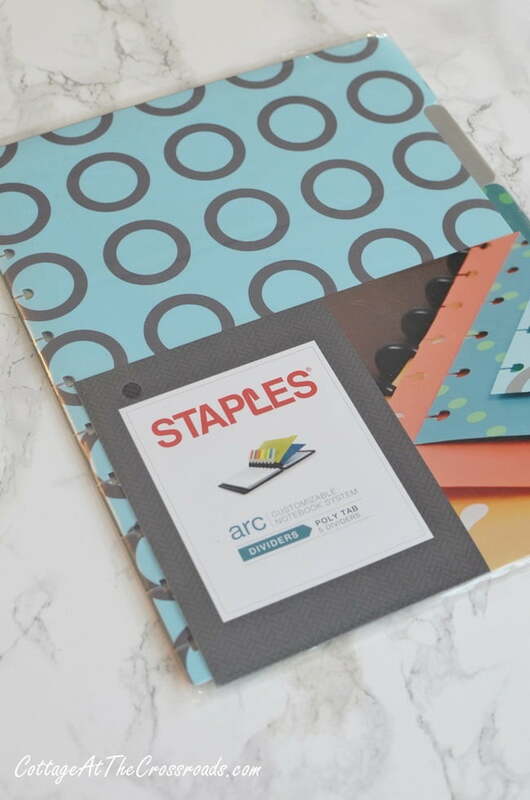 Although I haven’t used anything other than the Staples brand, I understand that Happy Planners, the TUL system by Office Depot, and the Levenger system are all discbound systems with some products that are interchangeable with the Staples products. Most discbound systems are offered in two sizes: a letter size and a junior size. What’s so special about discbound notebooks? I really like the ability to totally customize the notebooks to fit my needs. And I especially like the fact that the notebooks lie flat when opened as in the photo above. And if you’re like me and want to turn back the cover as shown above, the notebook lies flat like a spiral notebook. How much do these discbound notebooks cost? Aha! There is an initial investment when switching over to the discbound system, but the covers, discs, and dividers are all reusable. First, you will need a cover which when purchased, comes with the smaller discs. There are many options, colors, and materials available at different prices. 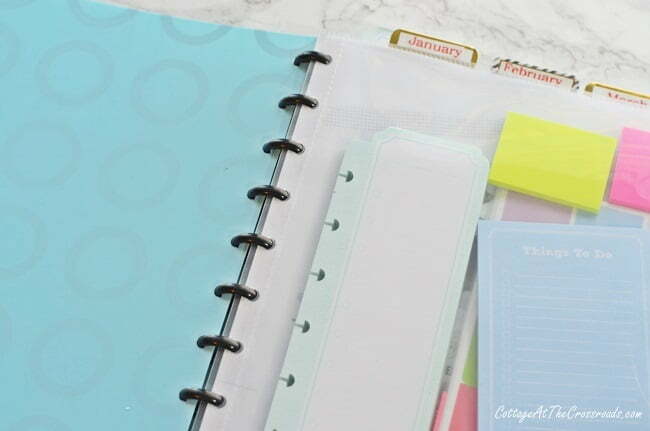 I have my eye on this pretty blue junior size Martha Stewart notebook, but for my first one, I chose a clear poly cover from the Staples store that was around $11.00. It came filled with lots of lined paper that is suitable for note-taking. Also, there were many inserts available in the store such as yearly calendars, project planning pages, etc. So you could get started with a simple notebook and use pre-punched accessories that are available in the store as I did. But wait! Don’t you need a special hole puncher? Well, yes and no. When I purchased my discbound notebook from Staples, I didn’t immediately get the hole puncher. Frankly, I thought it was expensive! 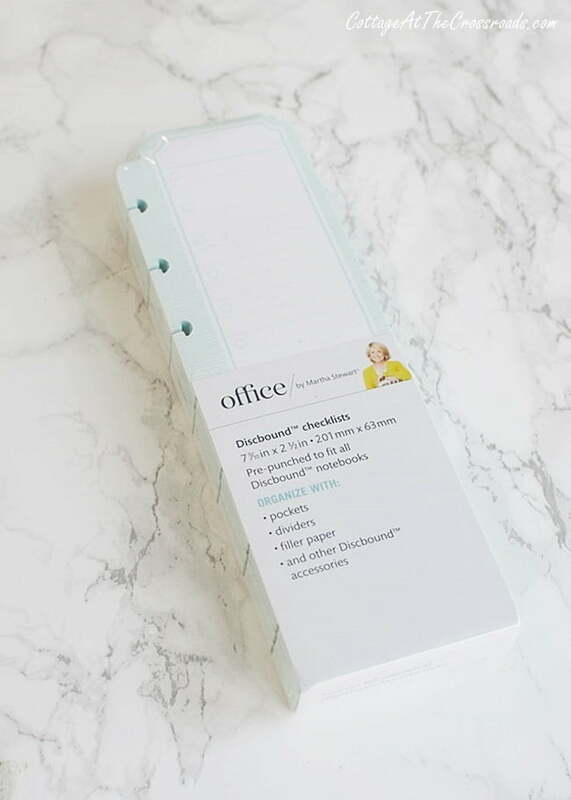 But a few days after purchasing my supplies at the Staples store which is 30 miles away from where we live, I decided that I needed it to hole punch the blog planner that I was planning to use. So I ordered it from Amazon where it was cheaper than it was at the store. 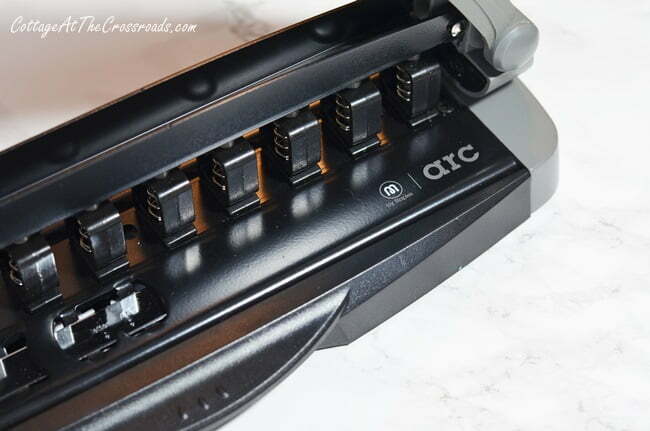 The ARC hole punch will punch 10 sheets of 20 lb. paper at a time and adjusts to both sizes of notebooks. The handle folds down and locks for storage. 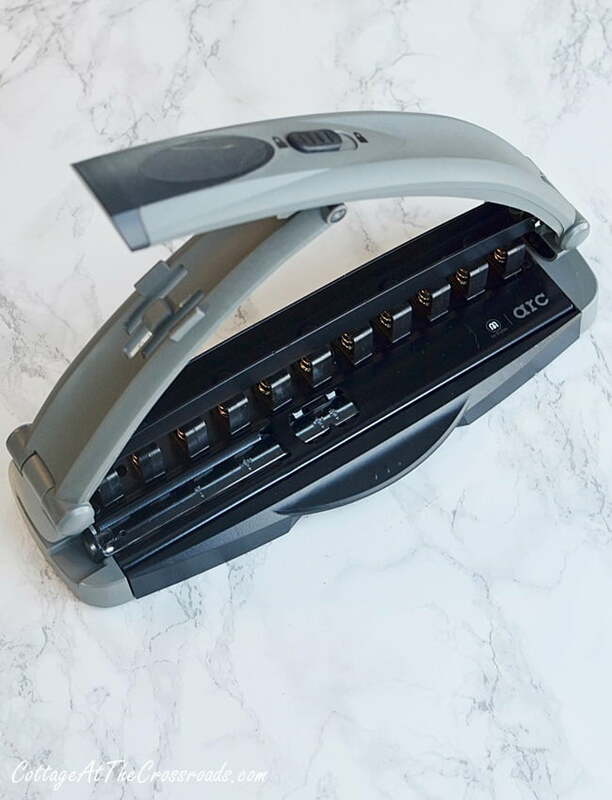 Having your own hole punch is like having a personal binding machine, but it’s better because you can swap pages in and out of your notebook. There are many accessories that are available such as different types of paper, dividers, pockets, rulers, adhesive notes, etc. My favorite accessory happens to be these checklists that I use as daily to-do lists. They fit both sizes of ARC Discbound notebooks. Follow me on Pinterest where I pin interesting uses of these discbound notebooks. I design custom disc bound planners, address books, etc. 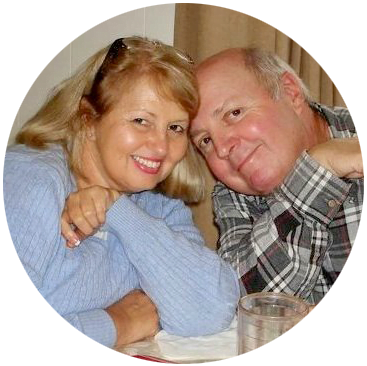 Jenihonu Designs at etsy.com…come see! These look like a fun way to help to stay organized! 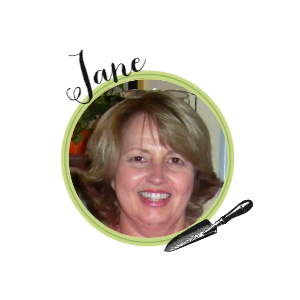 Absolutely love this Jane. I will be looking on Amazon and at Staples. Can’t wait to personalize my planner for the year. I knew these looked very familiar. I had used the Levenger system many years ago, for my business. I liked it…but didn’t like the finish on the paper at all. Couldn’t stand it, so stopped using the entire system. Wow, I kept those notebooks for years, but they’re gone now! It does take a lot of organization to even set this up, I think, but once it’s done it’s great. You have opened my eyes to a new type of journal/planner/list maker! There is something about writing down goals and keeping records with a lovely pen that sets my heart pitter-pat. I spent several minutes checking out your Pinterest boards and actually pinned several lemon recipes and sent several to my daughter. Just the sight of that checklist paper gets me excited. I am a list maker!